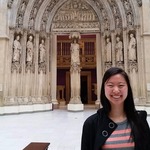 Claire Chu is a junior studying chemistry and psychology with a minor in Chinese. Her research interests lie both in biochemistry and psycholinguistics, and she hopes to combine the two in a research career. Through iGEM, Claire is involved with designing a project from the foundation, which is a unique and exciting experience for undergraduate researchers.